I tend to be a little repetitive. More oat flour pancakes. Same as last time. 1/3 cup pumpkin + water until batter is a little runny but still thick. And I couldn’t decide between unsweetened carob chips or raisins, so I stirred in a little of both! Mash the banana with a fork on a plate. Then mash in softened coconut butter until it resembles frosting! It’d kind of unfair to call this a recipe. But I really just want to bulk up my Recipes page. Tee hee. Banana Coconut Butter Frosting was delicious on my pancakes this morning. Tell me, doesn’t this look like cake? I think for my birthday, instead of cake, I’ll just make everyone a stack of pancakes with “frosting”. It’s also delicious atop Deb’s Microwave Protein Fudge Muffin. I modified the recipe a bit, but I forget exactly what I did! It was delicious, though! Cake! Totally looks like it. Totally cake. Don’t let anyone tell you differently! Oh my geeze that looks amazing!! Totally looks like a piece of carrot cake. Will most def be making that frosting of yours!! I think you just might be the breakfast “CAKE” queen Kayla. Gorgeous! I bet your family was pleased. yum! love how the stake totally molds together. those would not last long in my house! HOLY PANCAKES!! those look amazing! Repetition is a good thing sometimes, when something is so delicious it MUST be eaten over and over! Nothing wrong with those pancakes. They looks seriously delicious and fantastic. Can I please just steal them? mkay thanks. I’m repetative with food too..but you definitely have good reason to be! Those look delicious!! They look all so good! I can’t get enough of your pancake mountains!!! 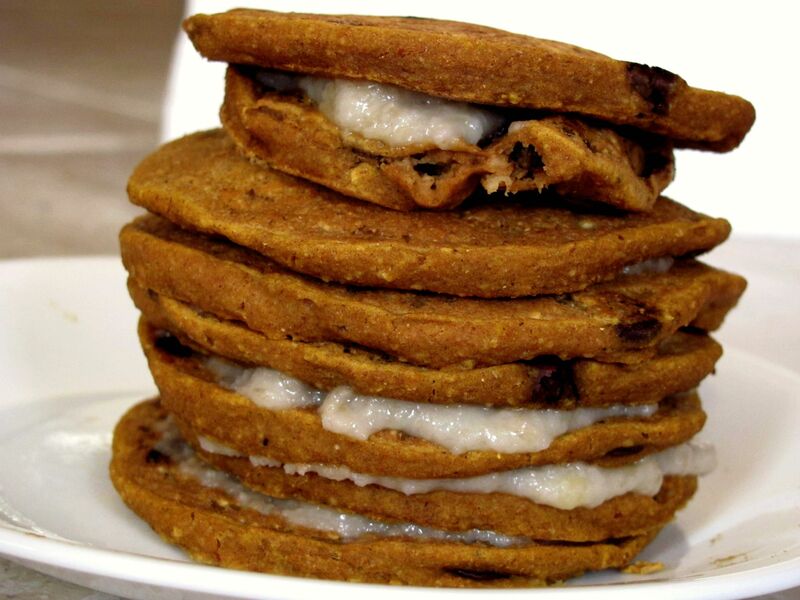 I’ll take a plate of those delicious looking pancakes right now please! 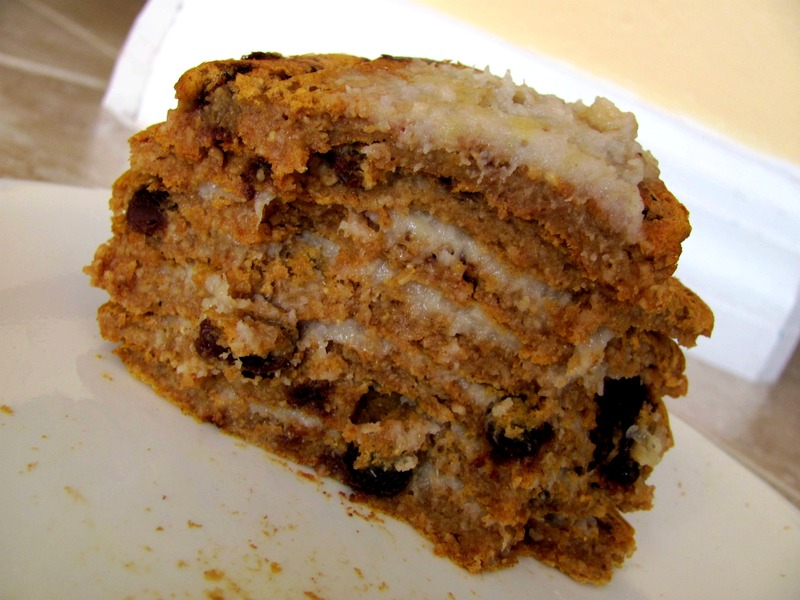 Pumpkin, carob, raisins, AND coconut frosting?! I die! 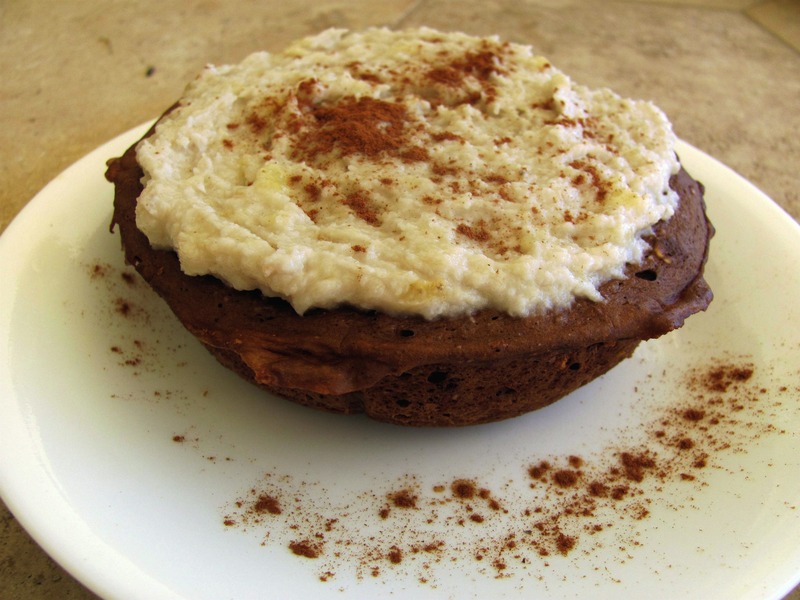 Love Deb’s protein cake! I tried it for the first time the other day! These look delicious! 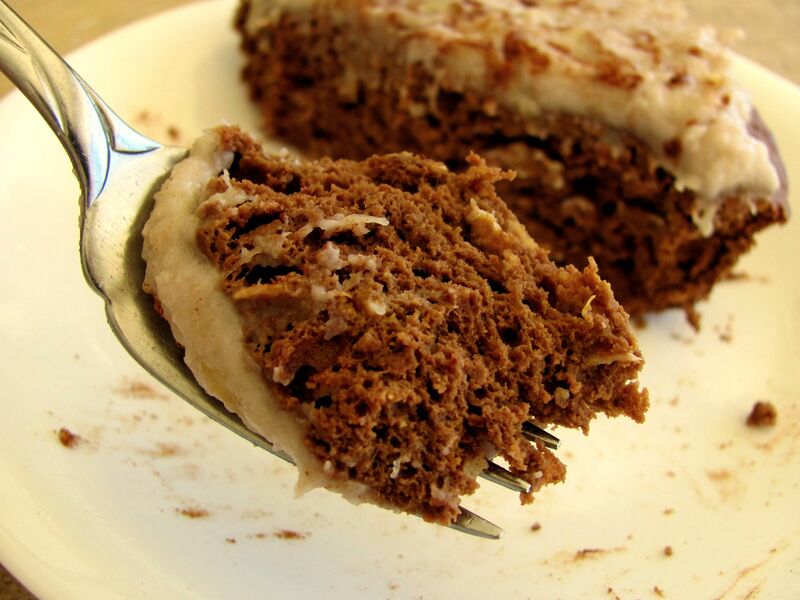 I want to try out flour ASAP after reading all of your awesome recipes using it!